Utilizing correct punctuation won’t help you make friends or boost your business, but using punctuation incorrectly will make your book, magazine or catalog copy stand out like a sore thumb. Even if people can’t pinpoint your mistake, something will look off about your message, making people less likely to trust what you’re trying to say. It’s always best to check your writing for common punctuation mistakes so you don’t inadvertently alienate those who will be reading your material. Here are 10 of the most common punctuation errors people make and how you can avoid making them. The Problem: People putting apostrophes where they don’t belong. Examples to avoid: It is all your’s. Five dollar’s off! The Problem: The use of single or double quotation marks when nothing is being quoted. Example to avoid: We offer the ‘best price in town’! How to Avoid: If you’re not quoting something, don’t use single or double quotation marks. If you want to emphasize a specific part of your message, use a bold or italicized font. The Problem: Without commas, sentences can become run-on blocks of text without any breaks. Example to avoid: I went to the store but they were closed so I went home. How to Avoid: Speak the sentence aloud and take note of any breaks in your speech. Insert commas when you pause or when you change gears within a sentence. The Problem: Just the opposite of missing commas, it’s possible to include an excessive amount of commas in one sentence. Example to avoid: I went to the store, but they were closed, so I got in my car, turned my radio on, backed out, and then went home. How to Avoid: While there’s no set rule for how many commas constitutes too many, your eyes are the best judge of overuse. If you think you have too many in a single sentence, consider replacing a comma with a period to create separate sentences. The Problem: Too many exclamation points in a body of work overwhelms the reader and devalues each individual exclamation point. Examples to avoid: Our products are the best! They really work! Get yours today! How to Avoid: Be tasteful with your exclamation points. Save them only for the big points and for the ends of paragraphs, leaving the reader on a high note. Examples to avoid: I don’t know who its going to hurt more, you or me. Look into it’s eyes. How to Avoid: Remember that it’s is short for “it is” or “it has,” where the apostrophe designates a contraction and isn’t possessive. Although it can be confusing, the word its, as in “The dog lost its bone,” is possessive even though it doesn’t contain an apostrophe. A simple test is to see if you can substitute the word with “it is” or “it has.” If so, then “it’s” is correct. If not, then “its” is probably correct. The Problem: The lack of a consistent method for using commas in lists can be infuriating for grammar pros and casual readers alike. The Oxford comma, which is the comma before the final item in a list, is standard in British writing. In the United States, it has become commonplace to skip the last comma, especially in journalism, but the debate about which is right continues. Example with an Oxford comma: My favorite foods are pizza, spaghetti, and steak. Example without an Oxford comma: My favorite foods are pizza, spaghetti and steak. How to Avoid: Our take? 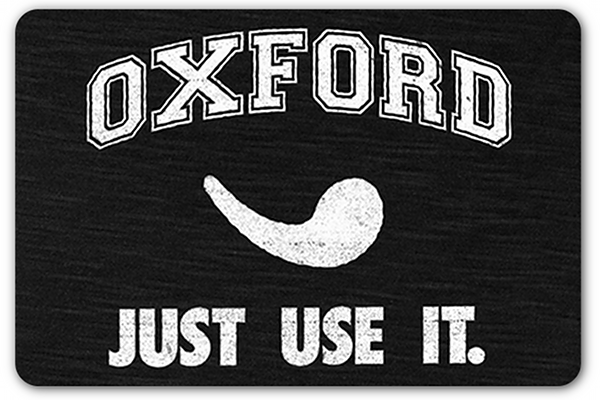 There’s no right or wrong when it comes to the Oxford comma. It’s a matter of preference. Just keep it consistent in everything you write. The Problem: All horizontal lines in text are not created equal. Good example using a hyphen: Our products are built with high-grade steel. Good example using a dash: I prefer chocolate milk – it’s tastier than plain milk. But I really like strawberry milk – although the pink color bothers me – because the taste seems richer. How to Avoid: Use a hyphen (a small line) to combine two words to create a single idea. It’s most frequently used to combine two words into an adjective. Use a dash (a longer line with spaces before and after) to indicate that you’re moving onto a separate idea or train of thought. The Problem: Semi-colons are often misused, particularly where a colon should be used. Example to avoid: I brought three things; a toothbrush, a blanket, and a pillow. Good example: I am glad to be going on vacation; I need the rest from work. How to Avoid: Use a colon if you want to set o a list of items. If you want to separate two related but distinct thoughts, use a semi-colon. Or, in the case of semi-colons, consider a period instead to break the thought into two separate sentences. The Problem: Sentence-ending punctuation marks often go outside of quotation marks rather than inside, which is where they belong. Example to avoid: “I had a great day at work today”! How to Avoid: The punctuation is part of the text you’re quoting, so the punctuation goes inside the quotation marks. Note that in American English, the punctuation goes inside the quotation marks, while the British punctuate outside of the quotation marks. If you are on the Internet and see punctuation marks outside of the quote marks, the source could be British.